I remember days like these... - I see better from a distance. Beautiful one day, a foot of snow the next. 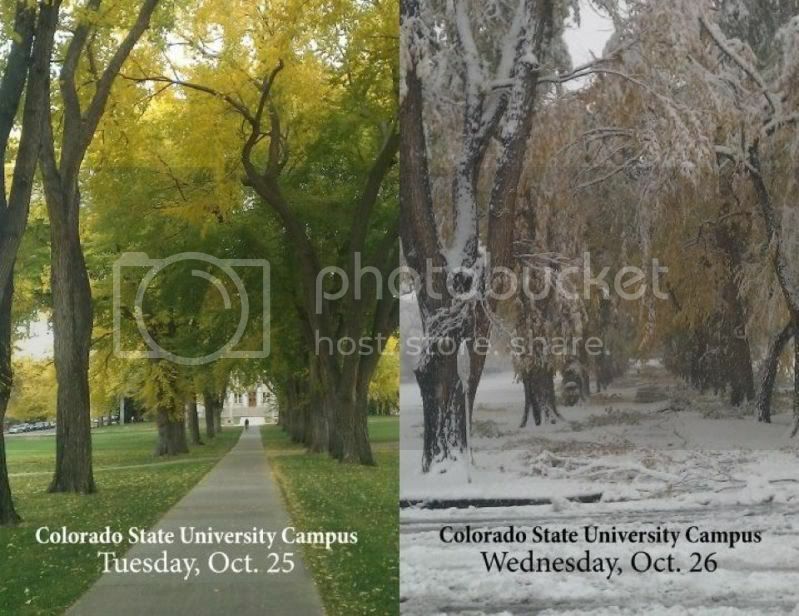 This is the Oval at Colorado State University- yesterday and today. Found at Facebook. Boy, that brings back memories! Colorado weather can be so unpredictable.